Entrepreneurs seem to fear outsourcing. Especially in their early years, they fear giving up control. Once business is out of their sight, they worry it is out of control. But, there are many good reasons to consider when and why to outsource your startup business. Running lean and mean, entrepreneurs obsess over keeping costs low. But, running lean and mean also reduces processes that distract you or consume your better-spent time. Now, you can pass that work onto your employees, but that’s not a cost efficient solution. Your job as a business founder is to grow the business. All energy must focus on branding, market building, and customer relationships. Anything that gets in the way of your agile response is counter-productive. Every entrepreneur has business weaknesses. They might not understand accounting or taxation, technology or social media, business and contract law, and more. You might not have enough employees to hire a Human Resources pro, but the business still has legal and compliance issues. And, recruiting and hiring can talk far more time that your business makes available. Setting up a website is one thing, administering it, stocking it with fresh copy, and monitoring its performance takes skill and effort. Depending on your business, you may need inbound or outbound calling, processes that take close supervision and metrics. If you expect information technology to grow with your business, you need help building that scalability in early systems. So, at the risk of losing that one clear purpose, you need to think about the real savings and common sense presented by outsourcing opportunities. Save labor burden: You can reduce your labor burden by taking your recruiting, hiring, and risk management out of the office. Using temporary employees has long allowed employers to staff offices without making long-term commitments. But, contracting with a PEO (Professional Employer Organization), you can co-employee staff and shift much of the responsibility to them. Accounting break: Your accountants will approve moving your fixed costs to variable expenses. Reducing your capital costs eases your early expenditures and improves your business profile. Risk management: Outsourcing functions also transfers the risk of error to those who know how to handle the risk. After all, they won’t stay in business long if they cannot do what you cannot do in OSHA or FLSA, in technology, taxes, licensing, and more. Economies of scale: Small businesses can take advantage of benefits, resources, and expertise they do not possess in house. When you can share things and services that customers value, you can take credit for them. Competitive cost: When you don’t incur special costs in development, sales, and distribution, your customers benefit. 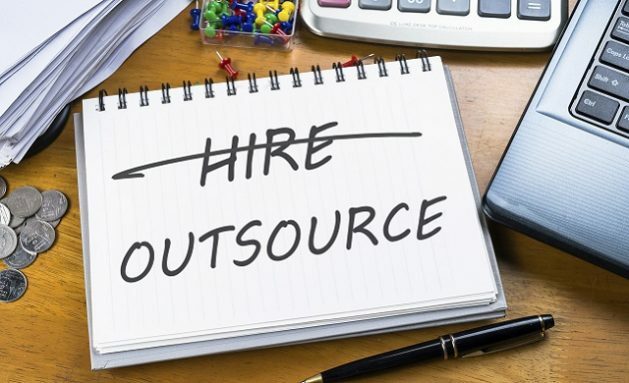 When you outsource, your costs are predictable and regular, making and keeping you competitive. Resilient agility: You outsource to businesses that operate as specialists, so they compete on their ability to respond quickly and smartly. When you give them work, they are ready to meet the road running. Strengthen core: Once relieved of things you don’t do well, you have the strength and opportunity to strengthen your core focus and pursue your vision. Businesses like Youth Noise built their future on the success of business like yours. With their focus on upgrading the design, language, and traffic of your website, they can partner to find, create, and grow your market.